The project is a collaboration between Nanyang Technological University Singapore (NTU) NEWRIComm and the University of Peradeniya, Sri Lanka, Dr. Shameen Jinadasa is the Principal Investigator. Prior to this the same Project had won the prestigious Engineering Achievement award from Institute of Engineers’ Singapore (IES), in July, 2017. This ASEAN Outstanding Engineering Achievement Award always recognizes the outstanding engineering skills which make a vital contribution to the progress of the field of Engineering and especially the impact of the project in improving the quality of life of public in conferring the award. Resourcefulness of planning and design which find solutions for the encounting issues. Innovation in planning, designing and construction. A special function was held on 21 November, 2017 in Amaya Hills Hotel, Kandy to felicitate other stakeholders and share the success of this achievement. Hon. Susil Premajayantha, the Minister of Science and Technology, Professor Upul B Dissanayake, Vice-Chancellor- University of Peradeniya and the Dean, Faculty of Engineering were participated. 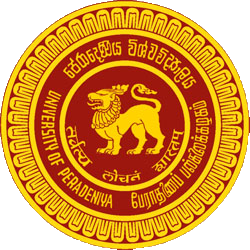 Subsequently, a new Memorandum of Understanding was signed between University of Peradeniya and Nanyang Technological University Singapore (NTU).